With the wave of enthusiasm for cloud software having well and truly broken, there is another problem creeping into the industry. Without any rhyme or reason, many customers are requesting ‘cloud’ purely for the sake of the software being cloud. And that could cause unnecessary complications including poor fit, insufficient capability and even completely botched implementations. Bishop has a good point. With the landscape littered with the ruins of failed technology projects, in which blown ERP initiatives routinely feature, any potential contributing cause to unmet expectations should be closely examined and where possible eliminated. “Whether your ERP software is cloud or on-premise is not primarily important. What is important, is if it provides the required functionality. In some cases, a cloud solution will fit that bill. In others, it’s possible it will not,” Bishop added. Systems of record just aren’t like that. 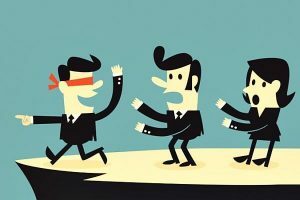 They are not there primarily for ‘customer experience’ or even ‘user experience’ (although vendors in a competitive environment are increasing the focus on these attributes), they are there to make sure complex businesses are able to run efficiently. But put simply, he noted that accounting systems aren’t built for complex processes; introducing add-ons can also have the effect of putting off the day when a full ERP solution is recognised as the appropriate way forward. “However, growing businesses are often horrified to learn that it can take five or ten days to implement finance, 25 to 35 for distribution and the same again for the warehouse. 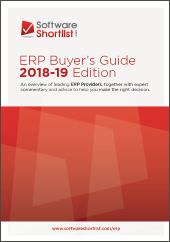 An ERP is a much more considered solution, capable of handling multiple people accessing multiple applications with the same data simultaneously whilst ensuring it meets long term requirements,” Bishop explained. It is no coincidence that Inecom, in an effort to bring clarity to these issues, is hosting a free half-day ERP Fundamentals seminar at the Novotel in Glen Waverly, Melbourne, which Bishop said is targeted at C-level executives. The event provides ‘a transparent update’ and a bit of a dive into a couple of products, SAP Business One and MYOB Advanced, while setting expectations not only for what ERP can and should do, but also on what can be expected when deploying it. For more information or to register.